We are always on the look out for styling ideas, so as we were searching for soft and affordable high quality sheets we found Parachute bedding. An awesome company out of LA that makes the most enjoyable sheets, duvet covers and merino blankets in beautiful colors. This look from Parachute makes the perfect contemporary look. We love the slate color, dark, warm and inviting. The sheets are woven in Italy by master craftsmen using cool and crisp, long-staple Egyptian cotton percale that will only get softer with use. Oeko-Tex-certified dyes lend lasting, eco-friendly color. Parachute has made a high quality product. Featuring a continuous elastic hem, this easy-to-care-for sheet fits mattresses up to 16 inches deep. Sets start at $199. Look at this gorgeous powder blue color! Looks so soft! The packaging is very cool as well and makes for the perfect gift! The latest edition to the line are these eye catching merino blankets. 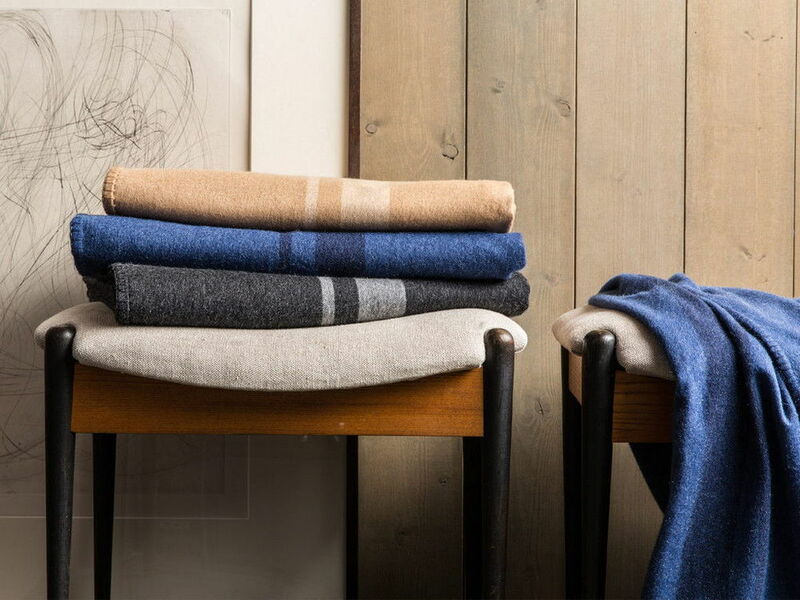 The throw blankets are woven of pure 100% Cashmere yarn spun in Scotland are super soft – not itchy. They can change the look of your bed or sofa and come in three colors – $319 each. 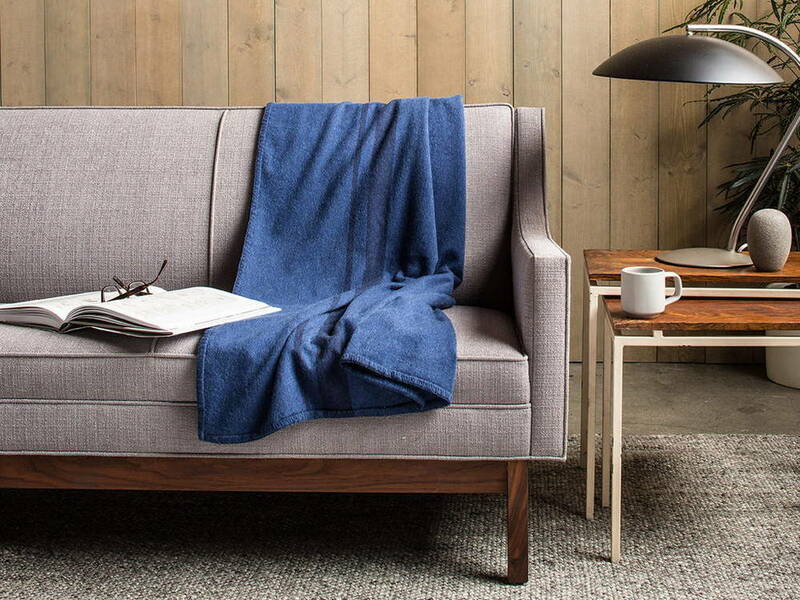 These 100% Cashmere blankets add a luxury touch and add color & warmth. There are lightweight cashmere options for those who need less warmth. We really like the playful fringe detail. Designed with sporty stripes and come in 3 colors for $299. We browsed the Parachute home website for over 40 minutes there were so many things we wanted to look at – don’t miss the candles, eye masks or travel blankets – even more great gift ideas to look through. 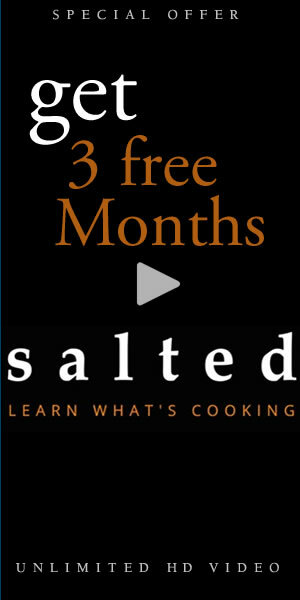 Parachute has also started to add instructive videos to their blog, very helpful for getting through the process of getting that magazine perfect look to your bedroom. Check out video below. Parachute founder Ariel Kaye decided to create her own bedding because she did not find the perfection she was looking for at her local shops and thus, Parachute was born. Specializing in both bedding and home decor, Parachute products are manufactured by true artisans who have been weaving world class bedding for over 60 years. Parachute simplifies the purchasing process to make premium quality bedding accessible. A company after our own heart!